But it is not an oscillator. 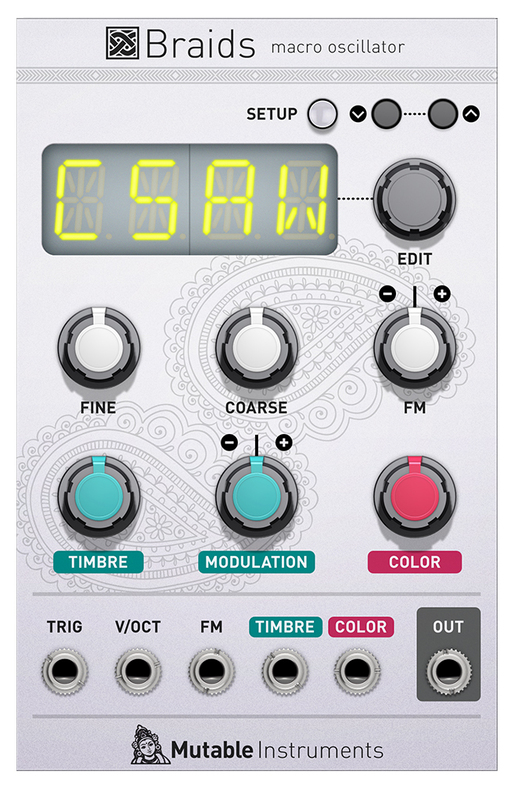 Mutable Instruments calls it a macro oscillator, but even that is an understatement. It’s a hugely sophisticated digital synthesis engine, able to produce and manipulate complex sounds – classic waves from vintage synths, bells, resonant filters, plucked and bowed strings, vocals and vowel/formant sounds, wind instruments, percussion, noise, granular clouds and more – by means of 45 or so fully-realized algorithms, featuring multiple oscilla- tors, wavetables, filters, VCAs, ring modulators, and so on under the hood. things per algorithm, often adjusting multiple parameters in the set-up at once to tour the sweet spots. And of course they can be CV controlled.